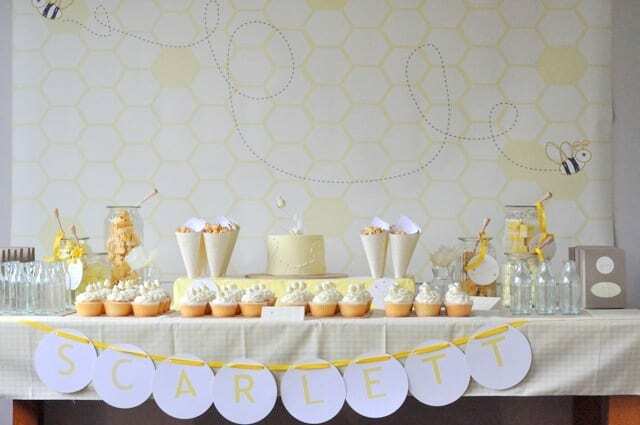 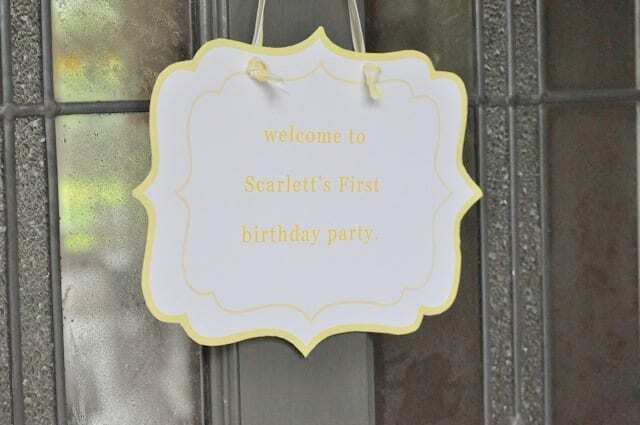 I’m excited to have another cute birthday party to share with you today – this one is a yellow bumble bee themed first birthday party and all the little details are just so cute! 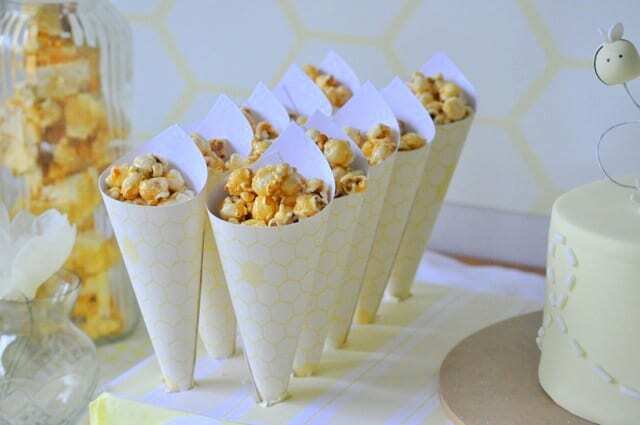 I love the caramel corn cones made from honeycomb patterned paper and the assortment of pretty yellow treats served from honey jars. 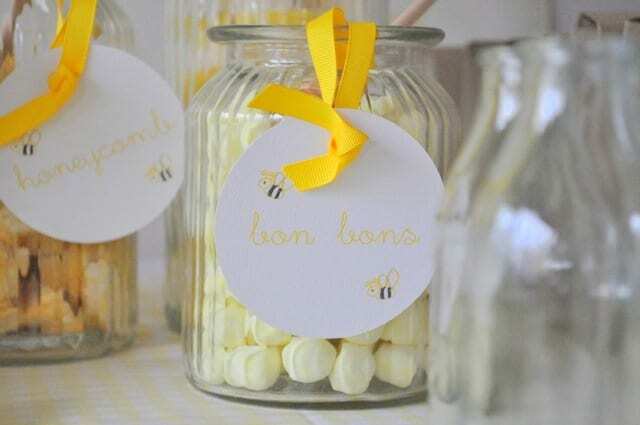 This look is so perfect for spring and would be especially cute for a baby shower or even a sweet Mother’s Day brunch with your mom. 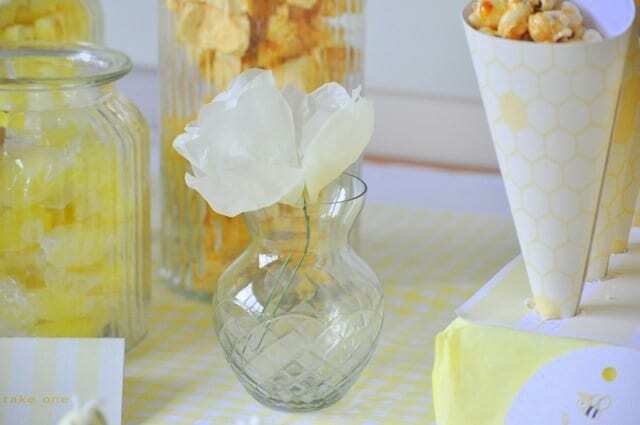 Serve her lemonade from a big jar, greet her with a big bundle of yellow flowers and serve brunch at a table draped in yellow gingham fabric. 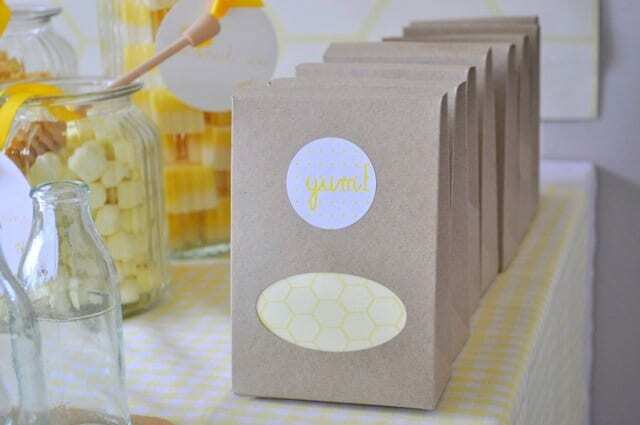 A tiny yellow cake is the perfect sweet finish for a Mother’s Day celebration she’d never forget.